An endless coastline, vast mountain ranges stretching from the West to the East, countless gorges and caves, a cosmopolitan North and a pristine South. Crete is the island of contrasts; a place with unique geomorphology, rare ecosystems and a variety of landscapes. In other words, Crete is the perfect place for those who love surprises, nature, adventure and camping. Are you ready to conquer the island? 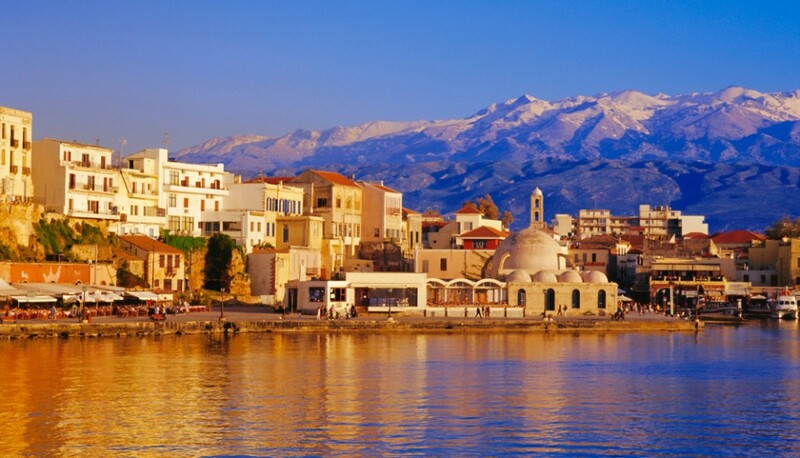 Northern Crete accommodates the largest cities of the island: Heraklion, Chania, Rethymno, Agios Nikolaos and Sitia; all lively and modern cities with important historical monuments and picturesque neighborhoods. The North also offers all the ‘cosmopolitan delights’ and large scale tourist infrastructure. The South of Crete, on the other hand, “protected” by a natural border of large mountain ranges, remains largely pristine and untouched by the effects of mass tourism. Small villages, quiet beaches, small gorges exiting in beautiful coves, uncharted routes on dirt roads, hiking trails and many more well hidden secrets are waiting to be discovered. Whether you are a zealous camper, trekker, naturalist or simply devoted to experience the authentic side of Crete, allow yourself to get lost and wander freely in the south with one of the LazySnail Campers caravans! In Crete, the "mountain or sea" dilemma is useless, as you can easily have both! Crete is an island that combines everything, and offers countless choices for seaside holidays and the ability to conquer high mountains at the same time. There are three major mountain ranges in Crete. Starting from the West, you first meet the White Mountains, the largest mountain range on the island that has more than 50 peaks with altitudes above 2000 m. Psiloritis dominates central Crete with the highest peak of the island, Timios Stavros (2456m.) and is also known as the birthplace and kingdom of Zeus. To the East, the mountain range of Dikti is home to the largest pine forest of the island. However, mountain routes are not limited to these three mountain ranges! It is well worth discovering Asterousia, the southernmost mountain range of Europe and the historical mountains of Yuchtas, Thriptis, and Kentros, among others.